Pay for 30 days and get 55% discount. 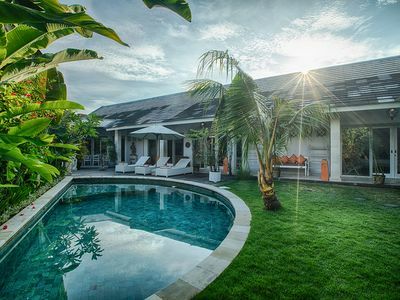 The Sawah villa is a two storey, contemporary duplexes featuring two good sized bedrooms with a master bedroom balcony that commands the finest ocean and sunset views. 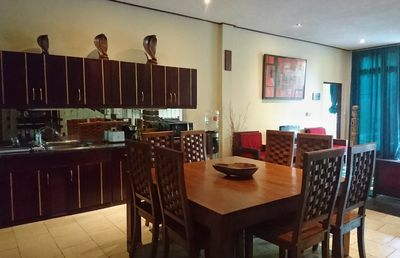 The lower floor provides open plan living and dining space. 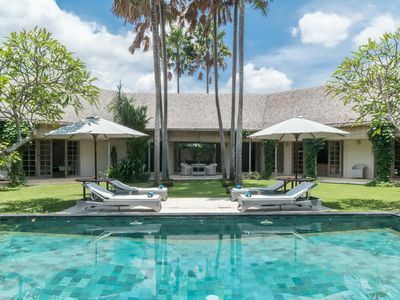 The Sawah Villa overlook the large natural stone infinity pool and the rice paddy fields beyond. 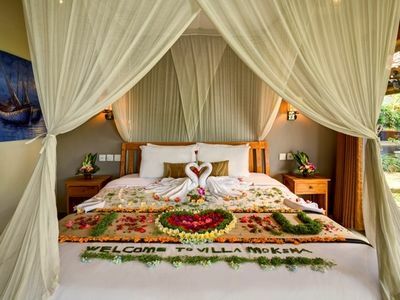 - Free 1 way transfer for arrival / departure for minimum booking 4 nights. 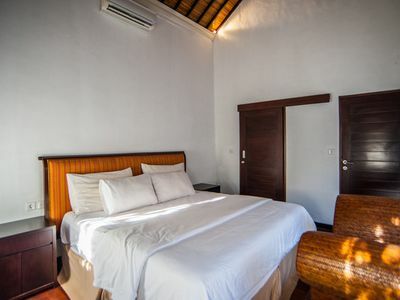 The Sawah Villa is managed by myself and my family, we believe it offers a great space at great value in a wonderful holiday location. 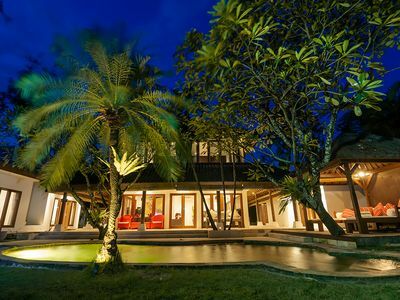 Sahaja Sawah is a boutique resort of tropical villas situated in an old Balinese village on the west coast, 25km from the famous Bali attraction Tanah Lot. 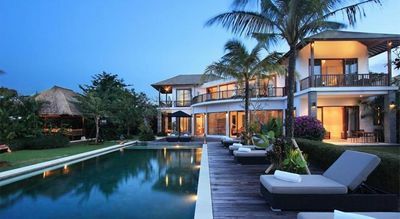 The tranquil beauty of the village scenery is still authentic Bali, set into green paddy fields overlooking the Indian Ocean, in the province of Tabanan, about an hour’s drive from Seminyak and is widely known as “the real Bali”. Its quaint villages linked by a network of tiny lanes, temples and very friendly people will charm you, while its backdrop of untouched beaches, rice paddies, mountains, rivers and jungle will soothe the soul. 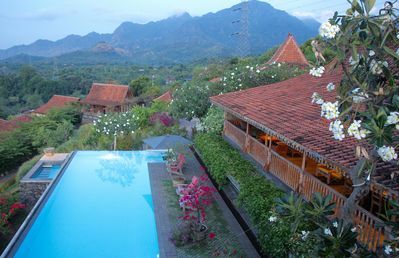 The location of Sahaja Sawah is truly beautiful. 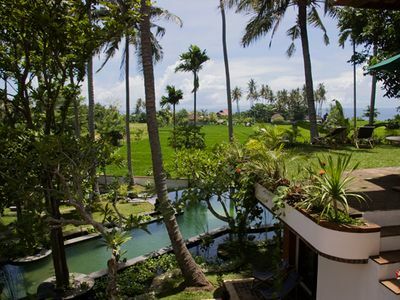 Pan Pacific Niwana golf course resorts and the colonial Canggu Club are about 40 minutes away. The many miles of untouched beaches and coastline are about 2km from the resort. Most of the tours offered in the tourist areas we can do in the same time. There is free use of mountain bikes, great for exploring the local villages or a ride to the beach. All Terrain Vehicle hire (ATVs), great for exploring the beaches and country roads. 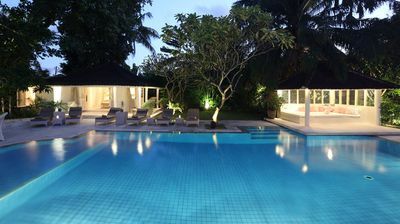 Scooter and car hire so you can enjoy trips to Ubud, Seminyak and rest of beautiful Bali. You can do Yoga and when you need a teacher then please contact us. Free mountain bikes, great for exploring the local villages or a ride to the beach. Perfect whether you fancy a swim or just want to sit on the shallow hedge and read a book. Our helpful staff will gladly bring you a tropical cocktail for you to complete your poolside relaxation. We offer you a shuttle service to and from the airport. Our driver will pick you up from the airport with a smile and provide cold towels and water once you’re in the car. Our Café provides an wide selection of tropical drinks, from the fresh mixed juice, to the smoothies and floats, through to different flavour of tea and coffee. 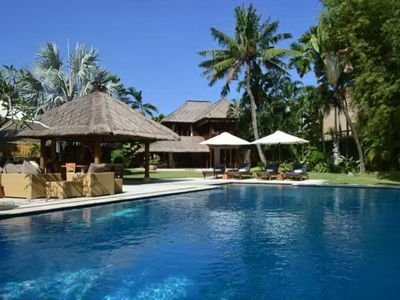 There you can also taste the traditional Balinese coffee or enjoy a Bintang beer. A place for a lazy afternoon chill out with your friends or families, watching a stunning sunset in the sounds of nature. Also available vegetarian and kids menus, or why not try the catch of the day, we buy from the local fisherman what ever their catch that day. 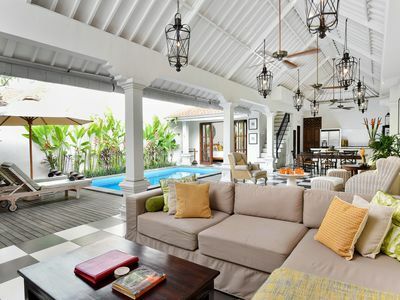 We can prepared the BBQ in your own villa or next to the infinity pool, with the freshest seafood and meats sourced from local markets and butcheries. 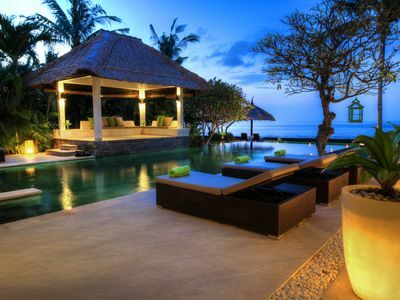 You can enjoy a nice sunset party or romantic candle light BBQ dinner. There is nothing like sharing a delicious meal under the stars. On site you can find Books, Magazines, DVD’s, Indoor and outdoor games and pool toys. 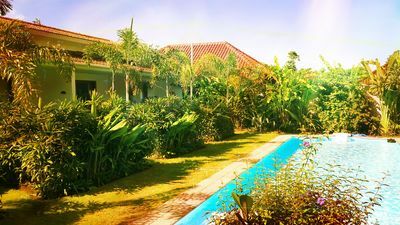 At Sahaja Sawah Resort, we offer you a variety of activities to make your trip as pleasant as possible. From Nature adventures such as cycling, fishing, horse riding, rafting, canoeing and hiking, to the healthy programs such as yoga and golf. 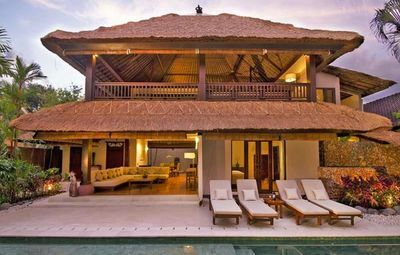 Besides the popular tours, we can organise experiences for our guests to visit the local villages and engage with the real Bali, in close cooperation with the Banjar. These experiences include attending local ceremonies and dances, visiting a family home, seeing the making of traditional offerings, exploring the local countryside, and visiting the village temple. Your Concierge will be happy to organise any of these experiences for you. Learn from local craftspeople how to create your own pottery. This hands-on class will have you throwing clay, creating, decorating and firing your own pot. You even get to take home your own creation as a momento of this fun activity. 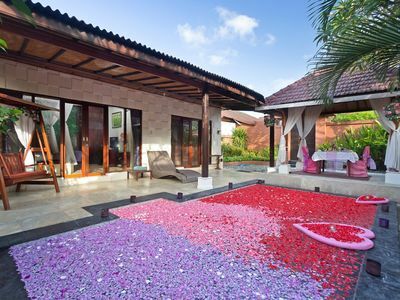 Manicures and pedicures, incorporating the floral art of Bali. 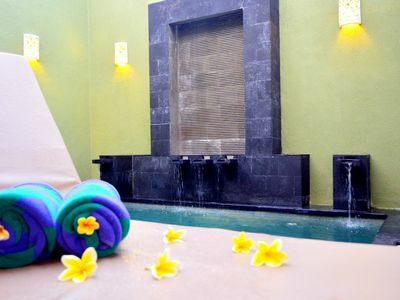 The perfect way to decorate your nails and leave with a memory of your stay in this natural paradise. Fancy a little relaxing fishing? You can cast your line just five minutes from the resort. 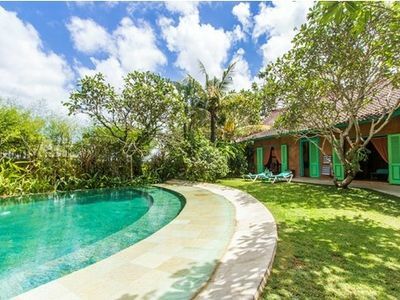 And if you’re staying at one of our Sahaja Villas, we can organise a private barbeque for you, where you can cook you catch. Explore the nearby Kelecung River by traditional canoe and discover a natural habitat, alive with birds and tropical wildlife. You might even see the indigenous Monitor lizard which can grow to 1.5 metres long. The resort can provide you with bicycles with which to explore further afield. Whether Kelecung village, the green rice paddy fields or creeks, your bike trip will give you plenty of memorable sights you’ll be taking home with you. 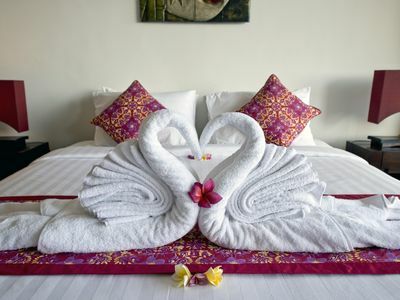 7 Bedrooms- Last Minute Deal 50%+ OFF!!! 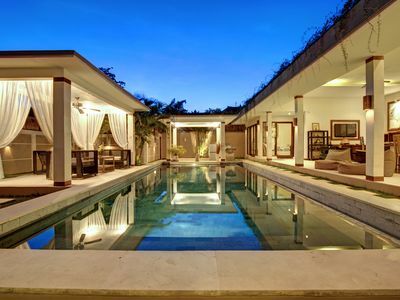 2BR Villa in Umalas Near Canggu Club!